Edge plumbing serves from Green Bay to Neenah and everywhere in between including De Pere, Brillion, Wrightstown, Freedom, Menasha, Greenville, Greenleaf, Kaukauna, Kimberly, Combined Locks, Little Chute, Appleton, Sherwood, Seymour, Harrison, Hollandtown, Morrison, Hobart, Forest Junction, Hortonville, Black Creek, Shiocton, New London, Mackville and Dundas. We specialize in service, repair, and remodel. We work on residential and commercial buildings, and everything from old to new. We install, replace, and repair, water heaters, sump pumps, battery backup sump pumps, city water pressure sump pumps, outside faucets, cross connection inspections, septic systems, septic pumps, broken pipes, frozen pipes, weatherization, ejector pumps, hot water recirculating lines, faucets, sinks, garbage disposals, showers, tubs, shower valves, water softeners, iron filters, water filters, gas piping for appliances, water and drain for appliances, drain pipes, water pipes, sink drain cleaning and so much more. 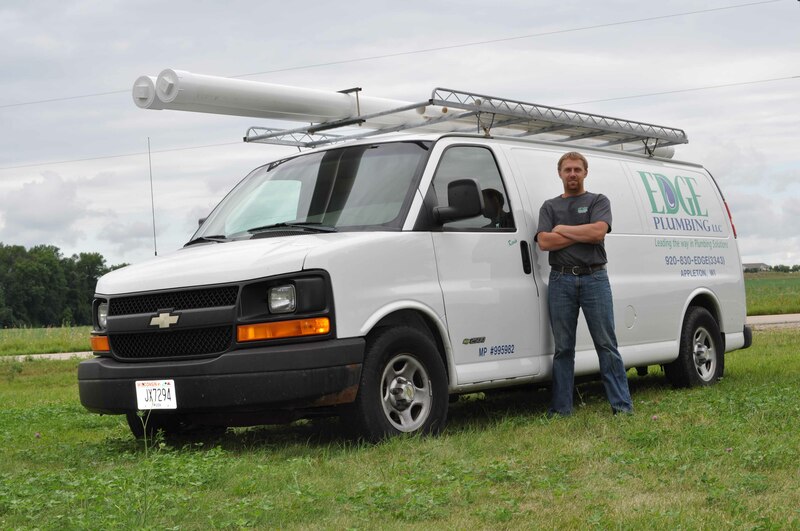 From just a simple remodel of replacing a sink or faucet to a complete remodel, bathroom additions, kitchen additions, moving a bathroom or kitchen, or adding that bathroom in the basement you always wanted, Edge Plumbing is the place to call. There is no job too big or too little. We charge by the hour for our service work so you don’t get charged an extremely highly priced set rate for a service, you only get charged for the time that we are working on your job. Our rates are very competitive. We are available for calls 24 hours a day!